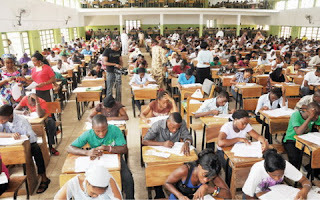 Details of the May/June 2015 West African Senior School Certificate Examination emerged on Thursday with states in the South-East, again, leading in the performance chart of candidates who obtained credits in at least five subjects, including English Language and Mathematics. 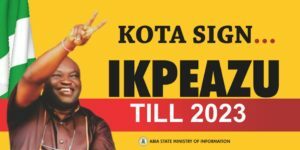 Abia State topped the chart with 33, 762 of its 52, 801 candidates. This came as no candidate obtained five credits and above, including English and Mathematics from four Federal Government colleges. The schools are the Federal Government Girls’ College, Bajoga, Gombe State; FGGC, Bauchi; FGGC Gboko, and the Federal Science and Technical College, Kafanchan. To secure university admission in the country, a candidate must obtain credits in five subjects and above, including English Language and Mathematics. Anambra State came second with 28, 379 out of 46, 385 candidates. While Abia State scored 63.94 per cent, Anambra got 61.18 per cent out of 100 per cent. 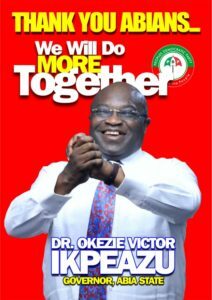 Edo State took the third position with 38, 052 of its 62, 327 candidates getting five credits and above. It had 61.05 per cent. 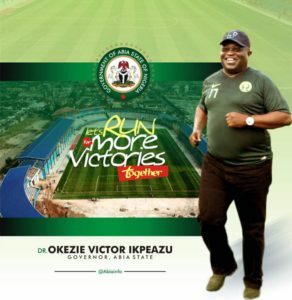 Rivers and Imo states came fourth and fifth respectively. In the 2014 May/June WASSCE rankings, Anambra State led the pack, while Abia State came second. However, with 4.37 per cent, Yobe State came last on the 2015 rankings list with only 646 candidates obtaining five credits and above including English and Mathematics. Fourteen thousand, seven hundred and eight-four pupils, comprising 10, 807 males and 3,977 females, sat for the examination in the state. Aside from Yobe State, seven other northern states occupied the rear positions in the rankings involving the 36 states and Abuja. They are Zamfara (36th), Jigawa (35th), Gombe (34th), Katsina (33rd), Kebbi (32nd) Bauchi (31st) and Sokoto (30th). Lagos with 68, 173 out of 141, 963 candidates that sat for the examination placed sixth on the rankings. In fact, 32, 595 males and 35, 578 females obtained the required benchmark for university admission. The statistics obtained exclusively by our correspondent on Thursday also revealed that Osun and Oyo states placed 29th and 26th respectively. 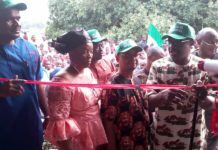 While 8,801 candidates out of 48,818 obtained the basic entry requirement for university admission in Osun, Oyo State recorded only 21.03 per cent success in the examination. Of the 78,896 candidates Oyo State presented, only 16,588 of them obtained five credits and above including English and Mathematics. The breakdown, according to a WAEC source, is the consolidated results approved by the council following its National Examinations Committee meeting held in November. One million five hundred and ninety thousand, two hundred and eighty-four candidates sat for the examination in which only 562, 413 candidates obtained credits in five subjects and above including English Language and Mathematics. In other words, 1,029,871 representing 64.63 per cent failed to obtain admission requirement to the nation’s universities. The former Head of National of the council, Mr. Charles Eguridu, announced the release of the results last August. 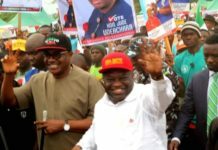 A further breakdown of the 2015 results, showed that the seventh, eighth, ninth and 10th positions went to Bayelsa, Delta, Enugu and Ebonyi states in that order. Ekiti State placed 11th with 8,954 out of its 21, 333 candidates that sat for the examination getting the required admission benchmark. Kaduna, Ondo, Abuja, Kogi, Benue, Akwa Ibom, and Kwara states came 12th, 13th, 14, 15th and 16th in that order. Ogun State with 75,994 candidates occupied the 19th position. 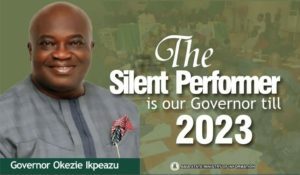 The state bagged 32.89 per cent with its 25, 006 candidates, comprising 12,059 males and 12, 947 females, obtaining five credits and above including English and Mathematics. In the 20th, 21st, 22nd, 23rd, 24th and 25 slots are Cross River, Taraba, Plateau, Nassarawa, Kano and Borno states in that order. While 15,903 candidates out of 62,511 obtained the benchmark in Kano, 5,347 out of 21,695 got the same results in Borno. Niger and Adamawa states occupy the rankings list ahead of Osun State. They placed 27th and 28th. While Osun State recorded 18.03 per cent success, Niger and Adamawa states got 19.66 and 18.08 per cent respectively. 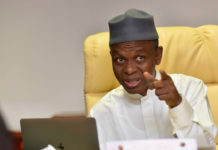 Meanwhile, in the performance register for the 104 Federal Government colleges in the same examination, the Federal Government Girls’ College, Benin, outshined the others with 230 of its 232 pupils getting the university admission yardstick. The Federal Government Girls’ College, Kazaure, occupied the second slot with only two of its pupils also missing the benchmark. But while FGGC Benin, obtained 99.14 per cent, its Kazaure counterpart, got 98.10 per cent. The breakdown showed that the Federal Government College, Rubochi, came third with its 146 candidates, comprising 94 males and 52 females, out of 156 that sat for the examination putting up good showings. The Federal Government Academy, Suleja; FGC, Okigwe, and the FGC, Nise, came fourth, fifth and sixth. 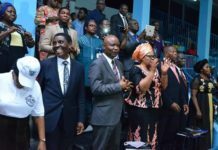 From the Unity schools in Lagos, the FGC, Ijanikin, which occupied the seventh position in the rankings, emerged the best in the state with 357 out of its 387 candidates that sat for the examination obtaining the basic university entry requirement. It came ahead of the over 100-year-old Kings College (18th), Federal Science and Technical College, Yaba (21st) and the Queens College (54th). While 361 out of 452 candidates obtained their papers at KC, 181 out of 413 females succeeded at QC. Occupying the eighth, ninth, 10th, 11th and 12th positions are the FGC, Okposi; FGC, Ikole-Ekiti; FGGC Efon-Alaye; FGGC, Minjibir, and the FGC, Jos, in that order. From the statistics, The PUNCH findings revealed that of the 74 candidates that sat for the examination at the FGGC, Bajoga, no one got the basic admission requirement. It was the scenario at the FGGC, Bauchi and Gboko. Whereas 143 candidates sat for the examination in the Bauchi school, 144 females did the same at the FGGC, Gboko. 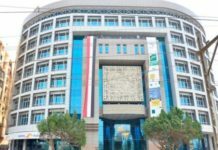 For the FSTC, Kafanchan, of the 40 candidates, comprising 29 males and 11 females that sat for the examination, no one also obtained the minimum entry requirements to the university. Of the 26 Unity schools occupying the rear positions on the performance chart, 22 of them are located in the North. The other four colleges are the FGGC, Ikot Obio Itong, Ukam at 89th position; FGGC, Calabar (92nd); FSTC, Uyo (93rd) and the FGC, Idoani, Ondo State occupying the 96th position. 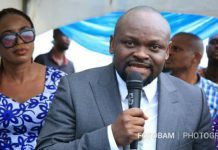 In the May/June 2014 WASSCE, 529,425 candidates, representing 31.28 per cent of the candidates, obtained the minimum university entry requirement. One million, six hundred and ninety-two thousand, four hundred and thirty-five candidates sat for the examination that year. In May/June 2013, 639,334 candidates, representing 38.30 per cent, qualified to seek admission to university in the country. One million five hundred and forty-three thousand, six hundred and eight-three candidates sat for the examination.